All too often, it hasn’t been, because it has been buried deep within a document the size of a doorstep. “I frequently have to spend an hour ploughing through some huge report before I eventually find what I’m looking for tucked away in a footnote on page 120,” complains Jiří Kominek, a Czech-Canadian journalist who covers hate crime-related security matters. Hate crime specialists at the Warsaw-based OSCE Office for Democratic Institutions and Human Rights (ODIHR) understand that Kominek is not alone. Activists from across the OSCE region routinely scratch their heads over the hate crimes report compiled and published annually by ODIHR. The report, Hate Crimes in the OSCE Region –incidents and responses, serves to fulfil ODIHR’s primary mandate in this area: to detail the prevalence of hate crimes and the good practices that participating States and civil society have adopted to tackle them. “The only problem is, many readers find it quite difficult to navigate,” said Floriane Hohenberg, Head of the Tolerance and Non-discrimination department at ODIHR. But Hohenberg and her team at ODIHR are aiming to put that right. 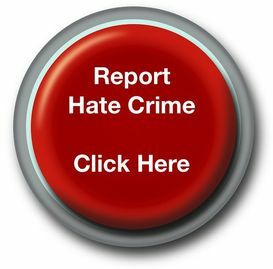 On 17 June, the Office launched the Hate Crime Reporting website, which replaces the printed and CD editions of the report. Designed to complement the ODIHR section of the OSCE website, the new platform divides hate crime data collected from various sources across the OSCE region into digestible chunks of information that are country- and issue-specific, and will be constantly updated. “The idea is to guide website visitors to the material that they are seeking without making them jump through too many hoops,” explains Hohenberg. “Experts needn’t worry – the detailed stuff will still be there for those who need it: If you want the full text of this or that piece of hate crime legislation, we can direct you there; if you need to download our training and professional guides, you can find them on the new site. In the meantime, ODIHR staff look forward to the new opportunities for searching and using hate crime reporting data the new site makes possible; opportunities the “old media” report format did not offer. “I see it as a great tool for advocacy, because it immediately puts the broader hate crime picture into perspective,” said Azra Junuzovic, Deputy Head of the Tolerance and Non-discrimination department. ODIHR is using the evolving “real time” nature of the whole website to help OSCE participating States improve practices in collecting data on hate crimes. For instance, at the end of each particular country section on the website, ODIHR makes explicit “observations” about areas where the OSCE participating State in question can improve its data-collection practices. 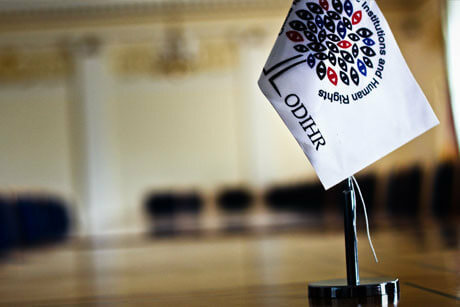 Just as important, say ODIHR’s partners across the OSCE region, is the potential to familiarize non-specialists about a problem that, if left unaddressed, poses a threat to security and stability for entire countries, and the region itself.